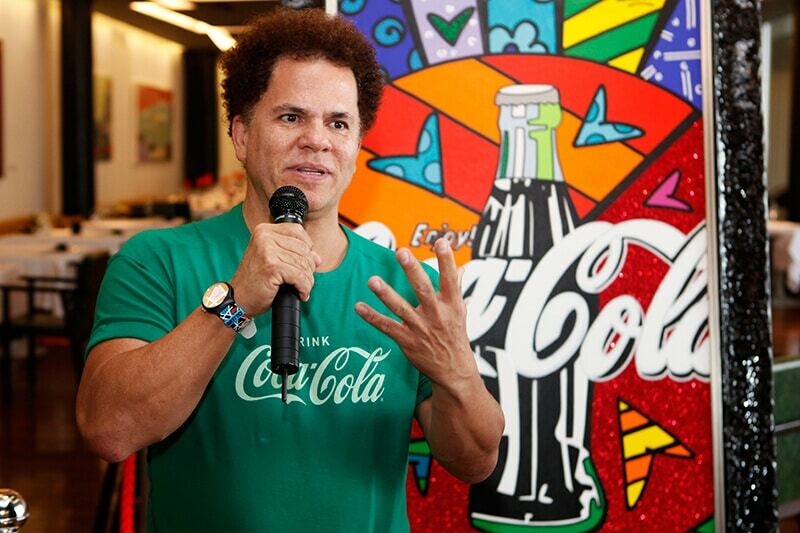 Romero Britto and Coca-Cola, two effervescent forces that aim to spread happiness, are partnering up to celebrate the 2016 Summer Olympics with special art and events. Earlier this year, Park West Gallery was excited to announce that Britto was made an official ambassador of the Olympic Games in 2016, held in Rio de Janeiro his home country of Brazil, by the Brazilian Olympic Committee. 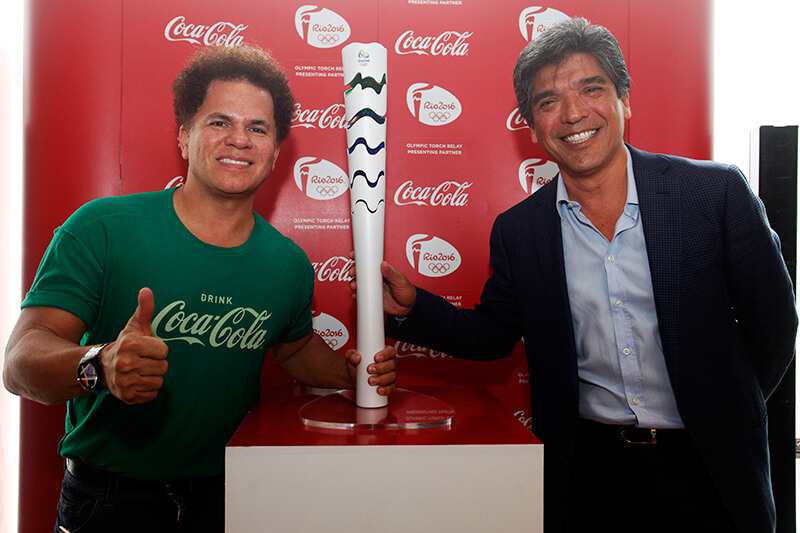 In continuing his role as an ambassador, Britto was nominated by Coca-Cola to carry the Olympic Torch when the games arrive. As part of the partnership with Coca-Cola, Britto will create five paintings representing local elements from each of Brazil’s five regions and a collection of five pins that correspond with the paintings. Together, they will form a map of Brazil in a special edition kit. Of course, a partnership with Coca-Cola isn’t complete without the famous soda. A limited edition aluminum Coca-Cola bottle will be launched and sold in Rio de Janeiro in honor of the Olympic Torch Relay. Britto, born in the Brazilian state of Pernambuco, also met with students from a school selected from the Coca-Cola Schools Festival on October 25. Britto is known for his colorful style art that combines cubism, pop art and graffiti, and encourages themes of optimism and happiness. 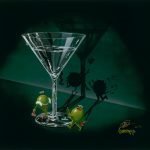 Park West Gallery proudly represents Britto as one of its artists, and is the only source for collecting his three-dimensional relief graphic works. 2016 Summer Olympics, Brazil, Coca-Cola, Rio, Romero Britto, three-dimensional relief graphic works. Britto and Coca Cola…great partnership! Looking forward to seeing Britto’s Art ‘kit’! So happy to hear of Britto carrying the Olympic torch. I love his work. My first Britto from a few years ago brings me such joy. Best wishes ! I’m so happy to hear this news! I had the pleasure of meeting him last month at a Park West event. 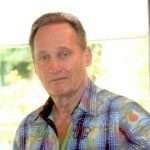 Having met him’ I truly understand why his work is so optimistic & uplifting. He not only “charms the world with the style of his art” he is equally charming in his personality. Can’t wait to get my artwork & look forward to seeing him carrying the Olympic torch & seeing his Coca Cola art work. Thank you Carolyn, and we’re happy you had such a positive experience! It’s hard not to when meeting such an energetic artist. Met Romero Britto in a recent Park West VIP event. Such an engaging and humble artist! I purchased my first Britto piece as a family heirloom for my granddaughter. I plan to eventually do the same for my grandson. I am a true fan!